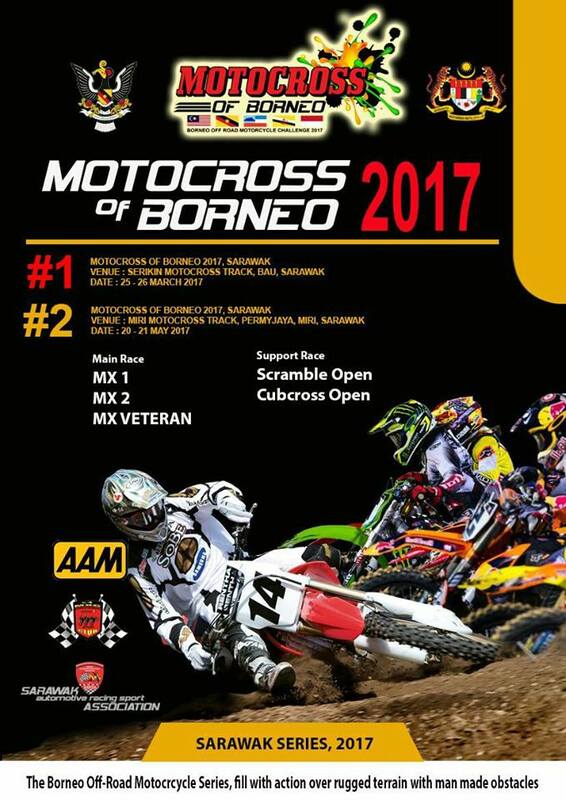 Motocross of Borneo 2017, Anyone? The race will be divided into three main categories, theMX1, MX2 and MX Veteran while the support races will include a Scramble Open and Cubcross Open. The Motocross of Borneo is held every year to promote Sarawak as a sports destination, promote motocross within Sarawak, while providing an opportunity to scout new talent in the motocross sports. It also promotes safe and healthy motocross competitions by providing professional locations on international standards. The Runners Wild Bario 2017 cross-country marathon is back on May 20, introducing a fresh 50km trail for experienced runners and outdoor enthusiasts. 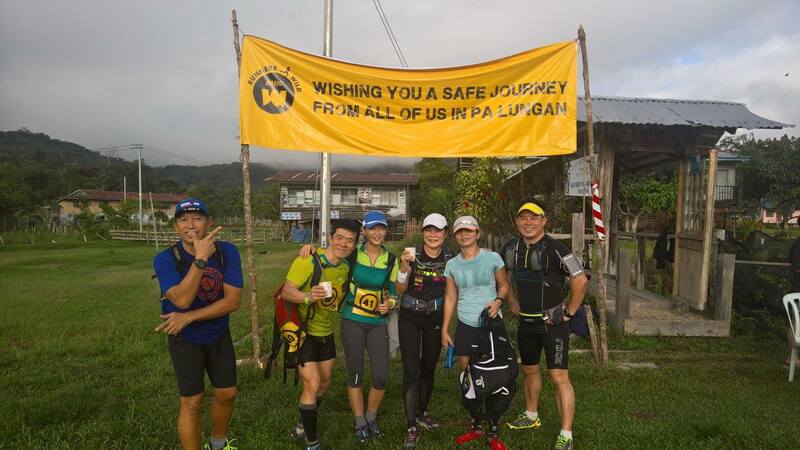 Runners Wild was created to promote tourism in Bario, as well as support the local communities within the area through the event. Bario, located in the Kelabit Highlands of Sarawak that rests completely encircled by mountains at 3280 ft above sea level. In light of the recent ASEAN International Film Festival & Awards 2017 (AIFFA2017), Sarawak Tourism Board has begun looking into promoting Sarawak through the film industry. The Board’s Acting Chief Executive Officer, Mary Wan Mering expressed Sarawak Tourism’s desire in using entertainment in marketing to travellers, in addition to the Board’s traditional marketing strategies. Earlier this year, the Board set up a Filming Support Unit to aid international film production houses in getting permits, ground support and location scouting. With Chinese film Blue Tears airing in China later this month, as well as previous cooking shows such as Anthony Bourdain’s No Reservation and Australian cooking show Out Of The Blue, Sarawak plans on expanding its presence in television and film in the near future. Image shows Out of the Blue, an Australian cooking show, filming in Sarawak. 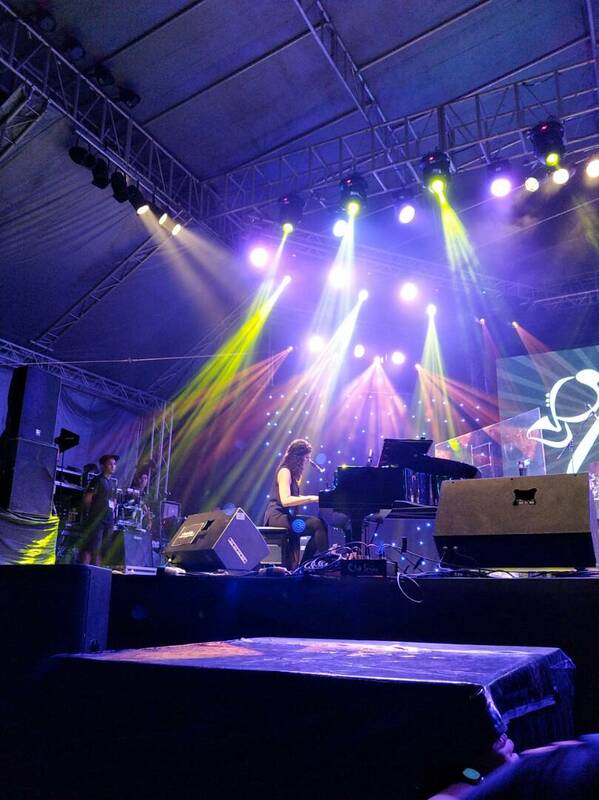 The 12th Borneo Jazz Festival kicked off without a hitch on May 12 to 13 at ParkCity Everly Hotel in Miri. The Festival itself saw crowds of local and international audiences enjoying the Jazz music and the Borneo ambiance. Preceding the Festival itself were two preview shows on May 9 and 10, as well as a beach clean-up at Luak Esplanade beach on the morning of May 11. The Festival’s outreach programme for local musicians on Jazz techniques was also a huge success. The newly appointed Minister of Tourism, Datuk Abdul Karim Rahman Hamzah, will now take the lead on Sarawak’s tourism in addition to his other State’s Ministerial portfolios. Now the Minister of Tourism, Arts, Culture, Youth and Sports, Abdul Karim stated that “while he foresees a lot of challenges ahead, he will use his position to ‘bring good things to Sarawak’ through tourism”. Chief Minister, Datuk Amar Abang Johari Tun Openg announced the cabinet reshuffle on May 6, which include Datuk Abdul Karim’s new position as Minister of Tourism, Arts and Culture, a post previously held by him. 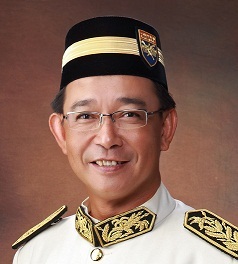 Image shows Datuk Abdul Karim Rahman Hamzah. Photo credit: Ministry of Housing, Sarawak. Miri May Fest is Here! The Miri May Fest, also known as Miri’s City Day Celebration, is a month-long celebration held annually since 2005 when Miri went up in status from town to city. Throughout the month of May, public entertainment and events such as musical, dancing/singing or cultural and arts events, sports competitions, youth programmes, charity drives, parades and food fairs will pepper the city. This city-wide festival coincides with the Borneo Jazz Festival, on May 12 to 13. Various programmes will be held to commemorate Miri City Day, many of which have been well received by visitors in previous years’ celebrations. 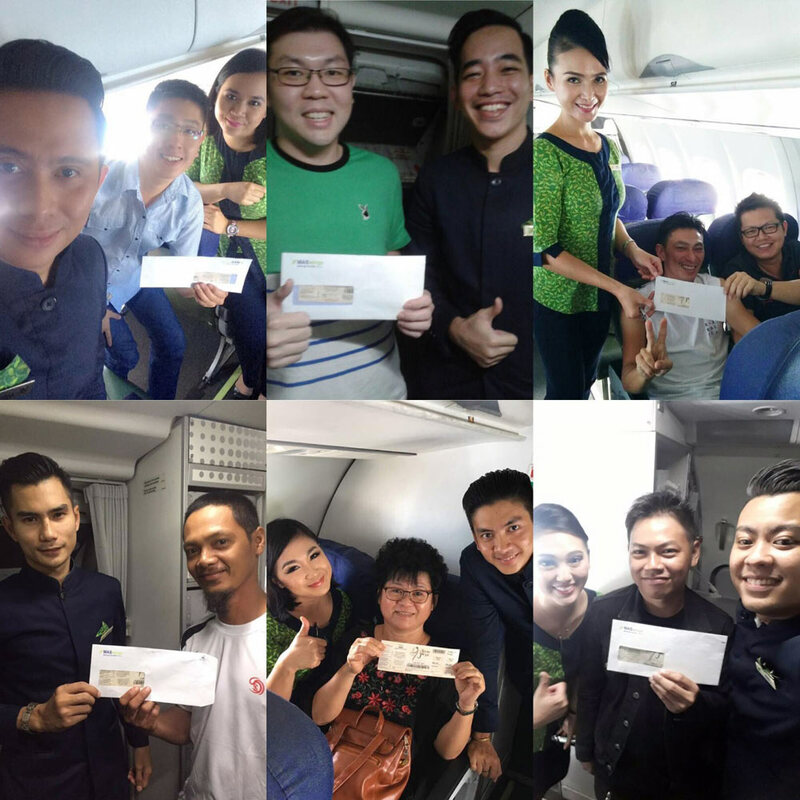 Image shows MASwings staff awarding passengers with tickets to Borneo Jazz Festival in Miri, after holding lucky draws on-board its flights in April. Sibu will be hosting a Da Bo Gong Festival, or Tua Pek Kong in the local Hokkien dialect, on May 12 to 14. This Festival is held to commemorate the Da Bo Gong deity, the ‘god of the land,’ as well as to recognise the importance of Sibu’s Chinese ancestry and heritage. 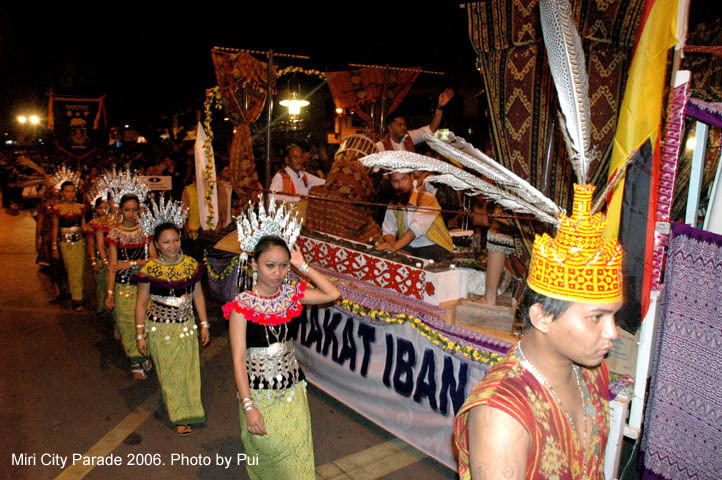 Every year, this Festival encourages international cultural tourism to Sibu, while also encouraging the communities in Sibu to live in harmony and unity, as was one of the purposes and jurisdiction of the Deity in question. 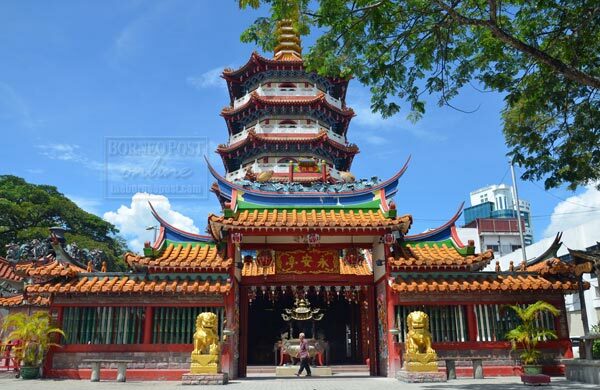 The Tua Pek Kong temple in Sibu – formerly known as Eng Ann Teng Temple or Temple of Everlasting Peace – has been a tourist hotspot for many years due to its rich history and beauty. There are 68 Tua Pek Kong temples in Sarawak – the oldest one being in Kuching. The Tanjung Manis Fishing Safari 2017 will be held on May 5 to 7 at Bandar Baru Tanjung Manis in Mukah. This Fishing Safari competition is open to all and is divided into two categories, namely the Deep Sea Category and the Seaside Category. This will be the 13th Fishing Safari, as it has been held annually since 2005 to promote Tanjung Manis as an eco-tourism destination, especially for fishing sports. 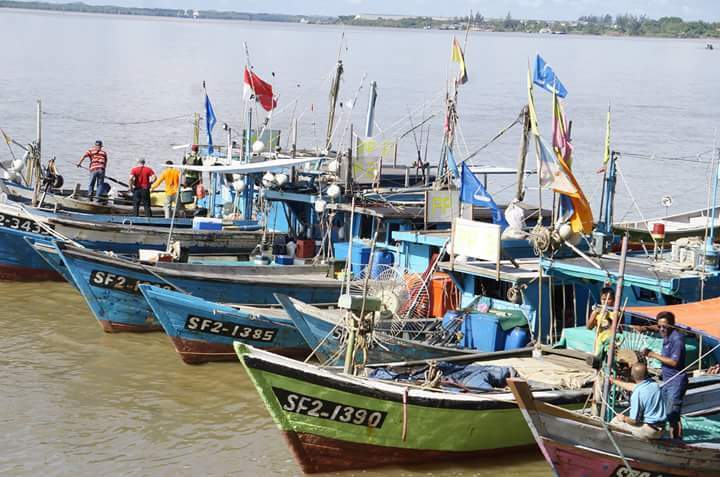 Boats waiting for the launch of the Tanjung Manis Fishing Safari 2016. Photo credit: DUN N41 Kuala Rejang. The Borneo Jazz Festival is back at ParkCity Everly in Miri on May 12 to 13 and will be celebrating its 12th anniversary this year. The festival days are packed with activities, beginning with the outreach programme, where young musicians can learn tips and tricks for jazz keyboard, piano, guitar, percussions and brass instruments from the festival performers. The evening performances will commence at the beach-side stage, with a dancing and sitting area and food stalls all around, concluding with an ‘after-party’ jam session at the ParkCity Everly Hotel’s Ruai Bar. The outreach programme will include classes on the basics of jazz keyboard, piano, guitar, percussions and brass instruments, while the greening efforts this year will be a beach clean-up, a change from the tree plantings from the past few years. 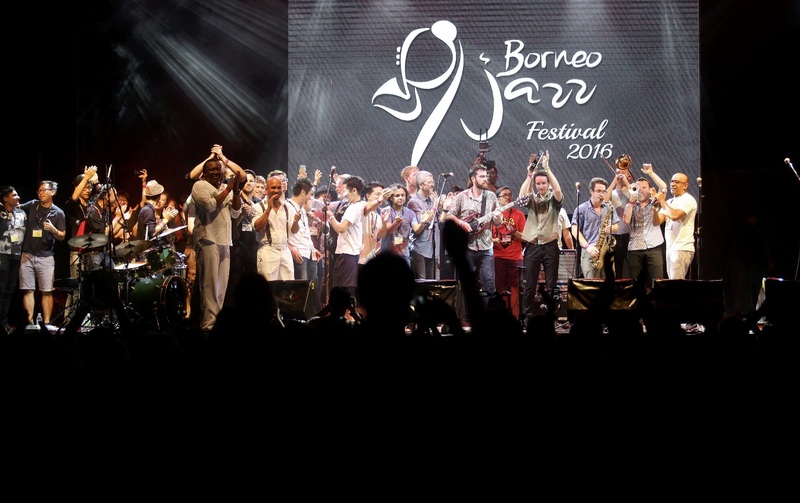 Image shows finale of Borneo Jazz Festival 2016. 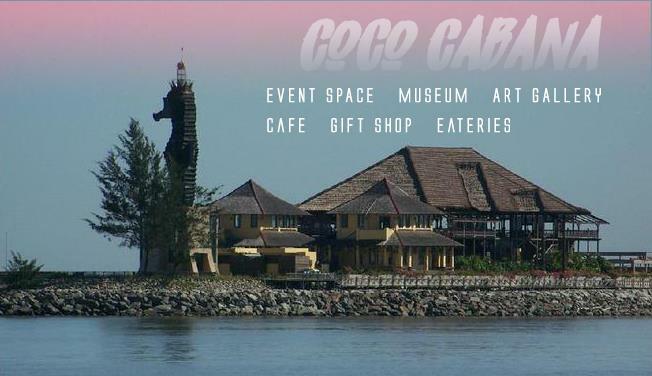 The Coco Cabana, a small art gallery and museum with cafes and gift shop, at Marina Bay, Miri, located right next to the iconic Seahorse Lighthouse, is now open to the public from 9:30am to 10:30pm. It features a serene seaside ambiance for visitors, with intricately carved wooden detailing on the main hall and an unforgettable view of the Miri coastline from all sides. The location was officially launched on April 20 with an Asia Food Festival that included food stalls, a cosplay segment, children’s activities, paragliding and many more. Miri’s paragliders have already made the beach area their new weekly ‘headquarters’, and can be seen in the evenings sailing across the sky. Image shows a view of Coco Cabana from the water. Photo taken from Coco Cabana Facebook page. 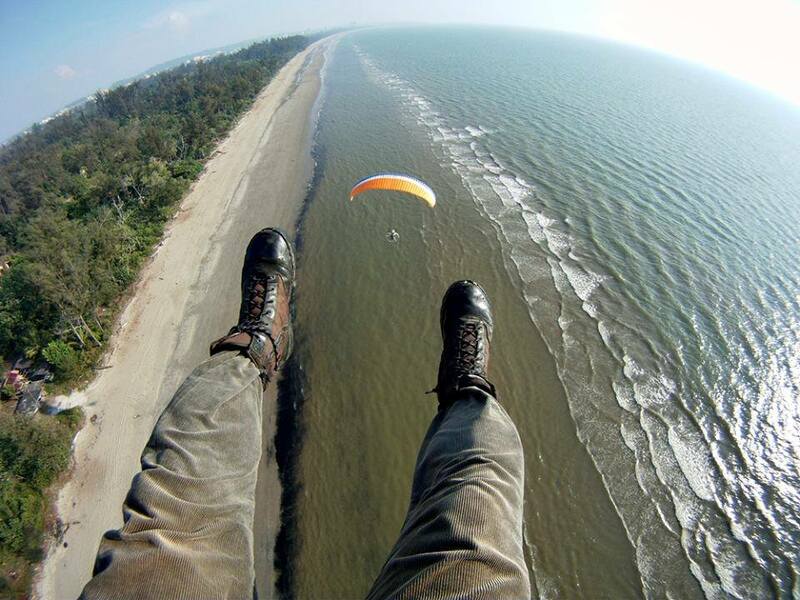 Image shows Miri’s local paraglider, taking a picture of the Marina Bay seaside. Photo taken from Coco Cabana Facebook page. 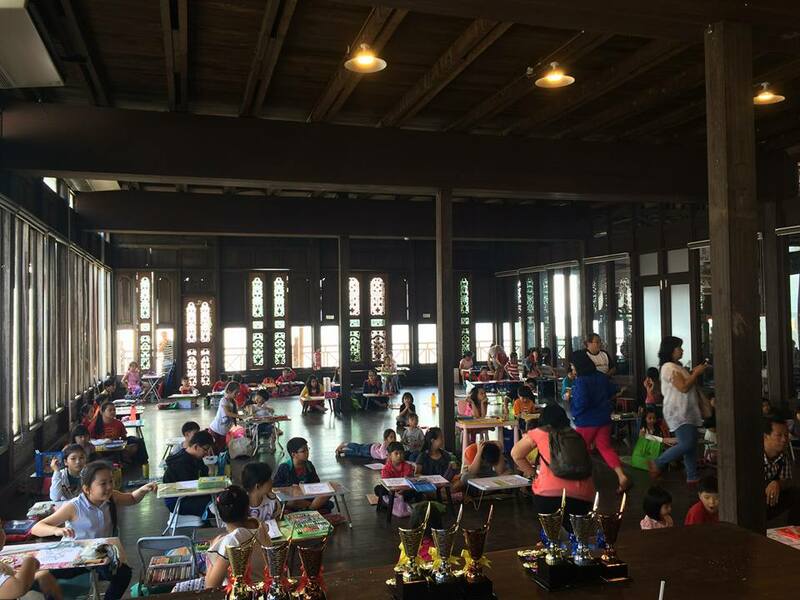 Image shows children’s activities held in the intricately carved wooden event hall. Photo taken from Coco Cabana Facebook page.